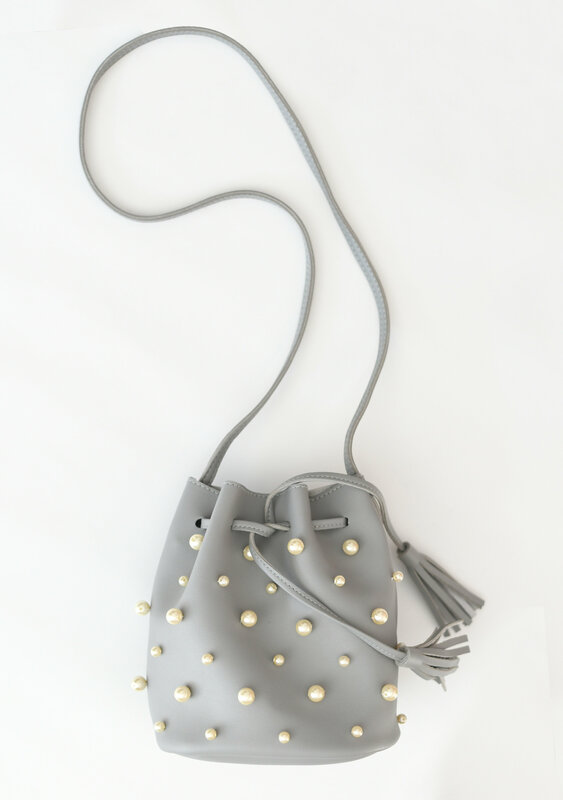 As pearls continue to be one of the season’s biggest trends, a serious (faux) pearl obsession has taken hold at P.S. – I Made This. 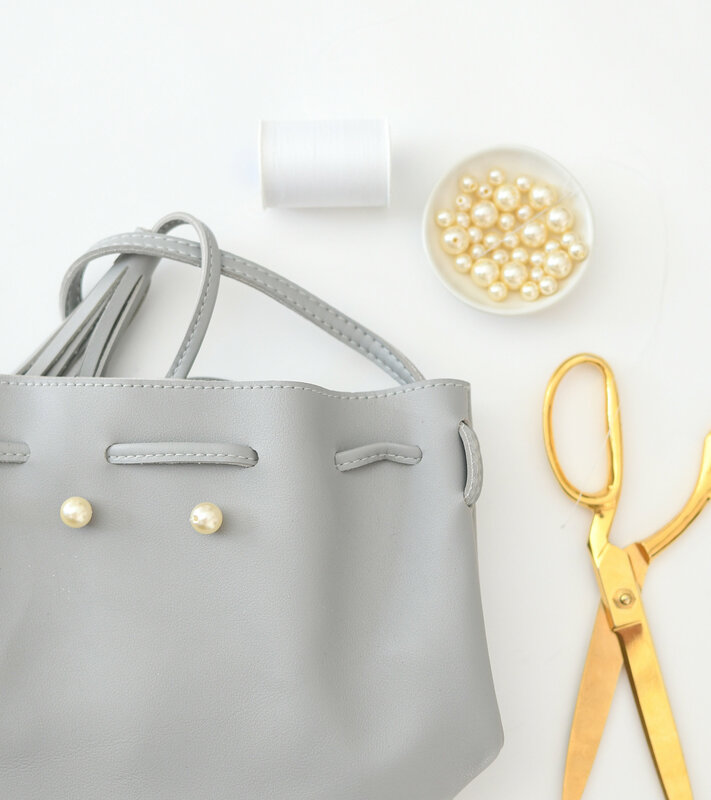 This pearl bucket bag project is simple, super stylish, and can be done with a bag in the back of the closet that hasn’t seen the light of day in a while. 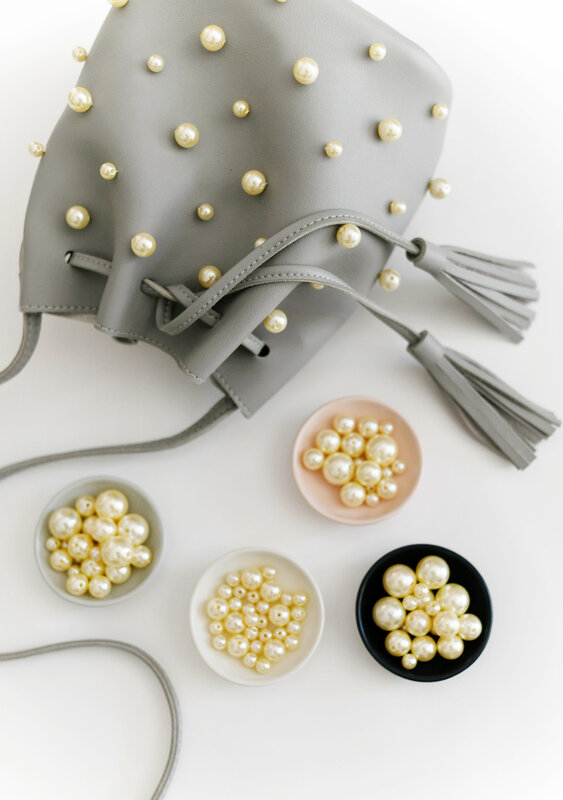 The first step, select the various sized pearls. Next, using the ruler and the chalk pen, mark out row for the largest size pearls. Space each pearl about 2 inches apart. 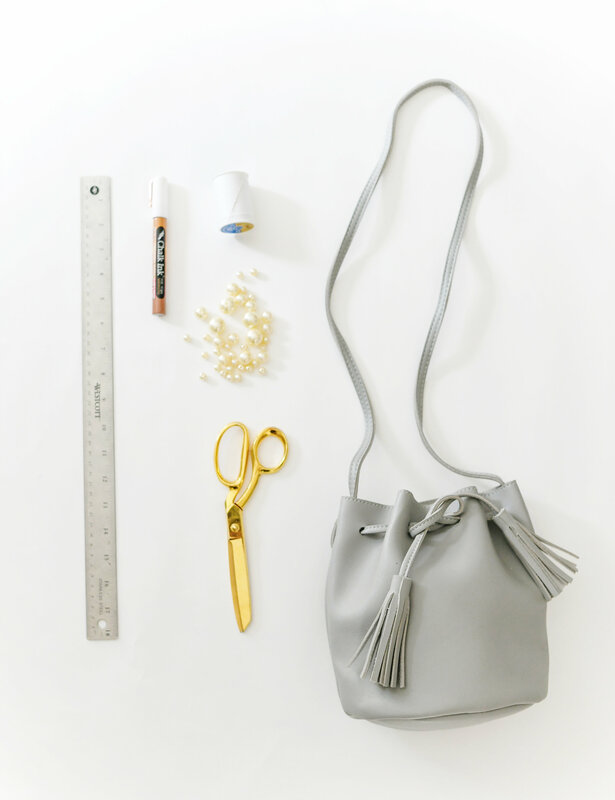 Repeat this step with the next size of pearls – however this time space each row 1 inch apart. 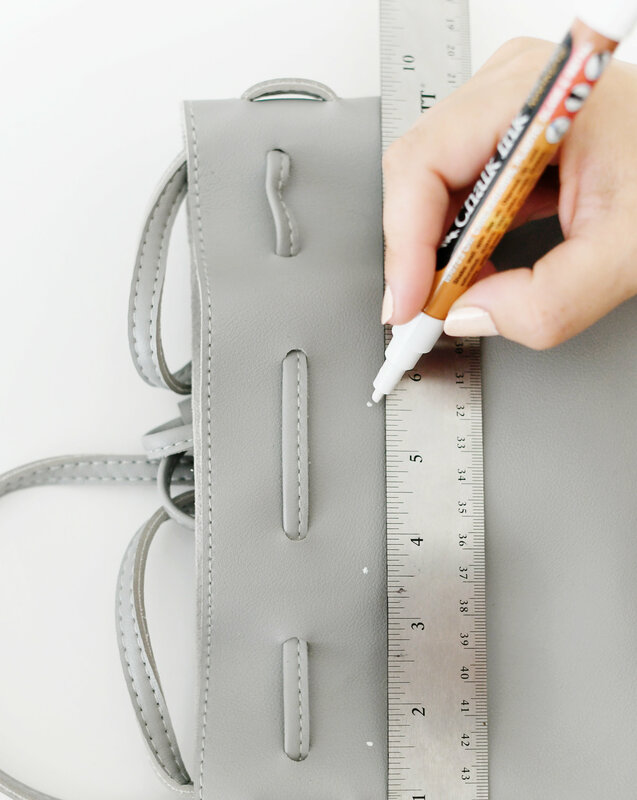 Prep your needle and thread and begin to sew pearls on the marked spots. 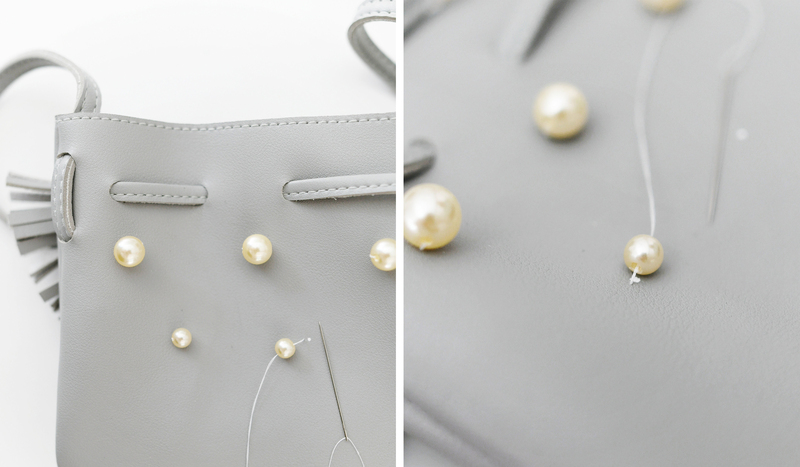 Continuing sewing each pearl on marked spots until the bag is complete. 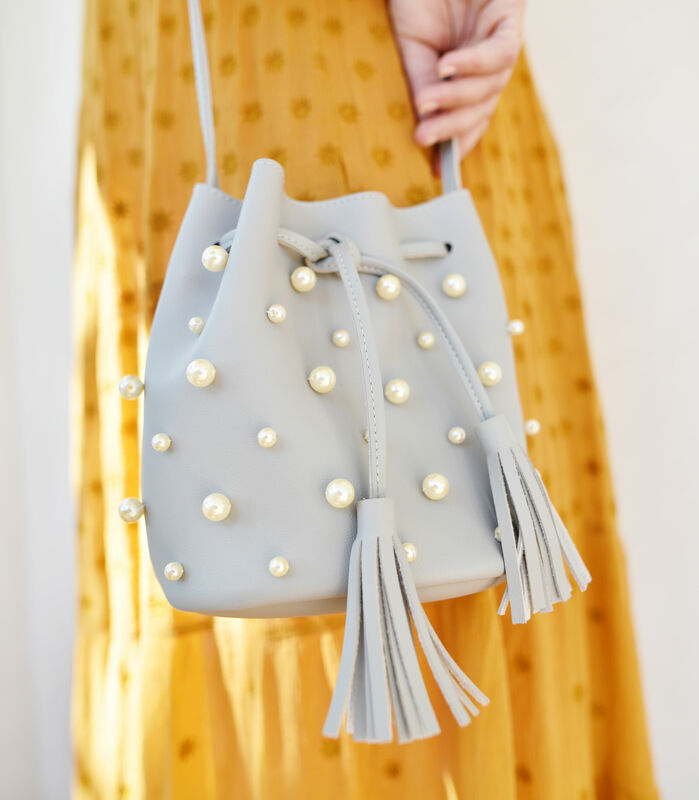 We have a feeling this is going to be a favorite accessory!